Standalone parcel scales with all Royal Mail rates built in, with a separate weighing platform. From inland letters to international parcels and letters, ratemail is accurate and ensures that your letters and parcels are always correctly priced. The scales include all the worldwide rates for sending parcels and packets the cheapest and most effective way possible. 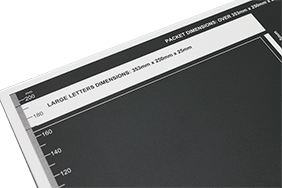 The postal scales are neatly designed to enable convenient location of the platform for weighing large parcels with the controls next to your franking machine. 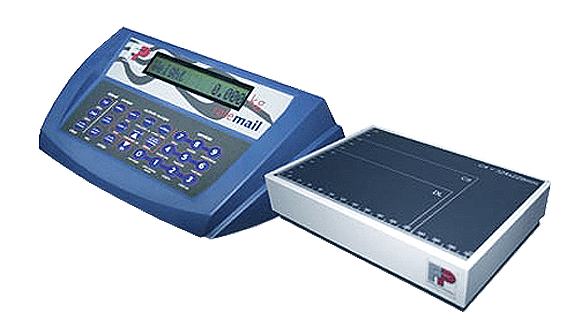 With its separate weighing platform, the ratemail postage scale is ideal for weighing heavy parcels and can also give DX weights. Ratemail also has the ability to count parts and has a DX facility built in allowing you to weigh your DX letters and parcels.